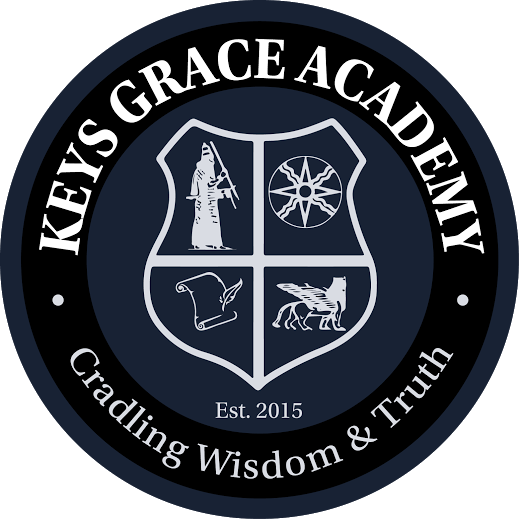 KEYS Grace Academy’s K-12 curriculum is mapped directly from the Common Core State Standards, the associated Grade Level Content Expectations and Michigan Merit Curriculum, using Atlas Rubicon via Oakland Schools. Grade level teams map the program of instruction by semester, identifying standards to be learned within instructional units and the building blocks associated with those standards using a unit planning approach. Oakland Schools has developed standardized units of instruction across the core academic disciplines K-12. Schools using their system customize and detail that course work base on the needs of their students and resources. Vertical relationships and scaffolding grade-to-grade are strategized and reviewed by teaching teams across grade-levels. The program incorporates multiple foreign languages like Modern Aramaic, and provides additional instruction in a third foreign language (Spanish/French). K-12 Math standards are mapped to the resource; Everyday Mathematics and UCSMP. In this scenario, the resource is the primary program driver. There is reasonable alignment to the MAISA model found in the Oakland Schools templates. An additional resource for re-teaching and extension is online at Khan Academy. Curricular gaps in Everyday Mathematics and UCSMP are filled with material from web sources. English Language instructional units are planned collaboratively using the existing Atlas maps, reflecting and unpacking broad standards from the Common Core State Standards. Reading and Grammar standards are mapped with each grade level choosing Lexile appropriate literature and informational materials as instructional resources. Grammar is taught in every subject. Students are required to speak and write in complete sentences. Social Studies units are planned collaboratively using the curriculum maps developed by Oakland Schools with source material chosen from available text and the web. Data analysis, historical perspective, position on social and economic issues, and debate skills are emphasized. Science units are planned using curriculum maps developed by Oakland Schools, and attempt to integrate relevant math skills. The concepts of research, creating questions, developing hypotheses, performing controlled experiments, measuring results and comparing to expectations are all emphasized and supported in written form. As is both appropriate and possible, science units incorporate a “hands-on/application-relevant” approach. Academic vocabulary is identified and integrated for all subjects in all grades. This is the most critical component of our curriculum. Writing is prioritized across all subjects in a developmentally appropriate fashion. Daily written reflection is used in all classrooms at the end of each day to journal the journey. There will exist a common set of instructional vocabulary from grade-to-grade, so that students will not need to learn new terminology regarding rules, tools, and expectations.